On Saturday, President Trump accused former president Barack Obama of wiretapping phones at New York’s Trump Tower in the months leading up to last year’s November election. Trump’s accusations are unfounded, as he cited no proof to support the allegations. On Twitter, Trump called Obama a “bad (or sick) guy” and said the former president ways plotting a “Nixon/Watergate” plot. On Sunday, Obama’s director of national intelligence, James Clapper, said that Trump’s claims were false. “Absolutely, I can deny it,” he said. Trump has called for a congressional investigation to help find evidence to back up his claims. 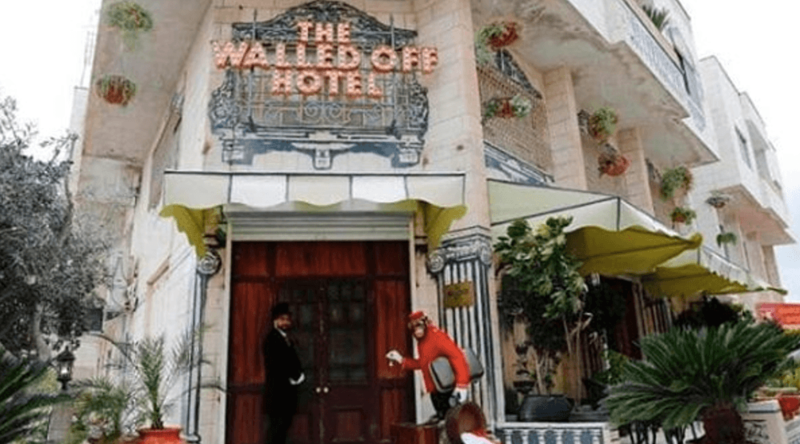 British street artist Banksy opened a new hotel in the West Bank city of Bethlehem. The nine-room guesthouse has what Banksy called the “worst view in the world” as the building overlooks the West Bank separation barrier built by Isreal to prevent potential attackers from Palestine. The hotel is filled with Banksy’s artwork and the entire project took just over a year to build. The Montreal police arrested a possible suspect in connection with the Concordia University bomb threats made on March 1. The suspect is a 47-year-old man from Cotes-des-Neiges, who was brought into custody on Thursday morning. The bomb threats received by the media prompted the university to evacuate three buildings on its downtown campus beginning at 11:30 am on March 1. Later that day, the letter containing the bomb threat which had been sent to several Montreal media outlets, was made public. The letter stated its intentions to set off bombs targeting the university’s Muslim students and claimed “small artisanal amateur devices” would be detonated in the Engineering, Computer Science and Visual Arts Integrated, and Hall buildings if the university did not place an immediate ban on Muslim activities on campus. Finally, the authors of the letter who call themselves the Council of Conservative Citizens of Canada (C4), concluded by explaining that their intent is not to kill anybody, but only to injury Muslim students. Snap Inc, the company behind the popular photo messaging app Snapchat, went public on March 3. On the first day of trading, public stocks went up 44%. The company’s share price went up from $17 to $24 increasing company value to $24 billion. Canada will join more than 40 countries gathering in Belgium this week to help create a global fund for safe abortions overseas, it has been confirmed. International Development Minister Marie-Claude Bibeau will attend the She Decides conference, initiated by her Dutch counterpart, in Brussels on Thursday. The She Decides fund was launched after US President Donald Trump cut financing for organizations serving developing countries if they even mention abortion. “Women’s rights begin with their right to control their bodies. We should never take that away from them, especially for young adolescents,” Bibeau told Daily Hive. The list of countries attending the conference ranges from EU member states to African and Asian countries, including Kenya, Ethiopia, Mozambique, Vietnam, Nepal and Japan. Owl cafes are the latest craze in Japan, but animal conservationists are not too happy about the new trend. Cafe guests are allowed to pet and take selfies with the birds. But the owl cafes have raised concerns with animal welfare groups, who believe the cafes abuse the owls and disrupt the sleep cycle of the nocturnal birds. A mass grave filled with the remains of over 800 babies and children was discovered at a former home for mother and babies in Ireland. Government-investigators announced they had found conclusive proof of the mass grave on Friday. Excavations have been taking place at the site since November. Investigators found an underground chamber containing “significant quantities of remains.” DNA testing found the remains belonged to babies and toddlers ranging from 35 weeks to three years old. Passengers on a British Airways flight from London to San Francisco were delayed for four hours because of a mouse on the aircraft. Passengers were already on the plane and it was about to push away from the gate when a mouse appeared. Passengers were told that they had to get off the plane because it could not take off with a mouse on board. The passengers were put on a replacement flight but were held up for four hours before they could take off. A severe drought in Somalia has killed over 100 people. According to Somalia’s Prime Minister, Hassan Ali Haire, 110 people have died from hunger in the past 48 hours. Somalia’s President, Mohamed Abdullahi Farmajo has said that the drought is a national disaster. The drought has been partly caused by the El Nino weather system.